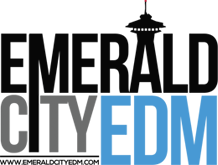 EmeraldCityEDM | Kraftwerk 3D at the Paramount & Ticket Giveaway! 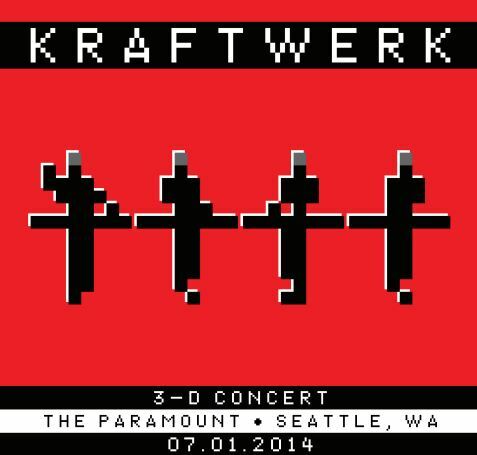 Kraftwerk 3D at the Paramount & Ticket Giveaway! On July 1st, 7:30pm at the Paramount Theatre, immerse yourself in Kraftwerk’s revolutionary electronic “sound paintings”, musical experimentation with tapes and synthesizers, innovative looping techniques, and computerized rhythms, robotics and other technical innovations in live performance. The Kraftwerk live experience is an audio-visual spectacle complete with pristine digital sound and 3-D projections. It is a pure electronic art-rave. Update 6/11/2014: Unfortunately, the late Kraftwerk show (10:30pm) on Tuesday, July 1st has been cancelled. The Paramount released the following statement for EmeraldCityEDM to share, and note that the tickets that we are giving away will now be for the 7:30pm show. Don’t forget to enter to win the tickets! Enter to win a pair of tickets to this show c/o STG Presents & EmeraldCityEDM! *Save on service fees by purchasing tickets in person at the Paramount box offices or 24hr ticket kiosk.